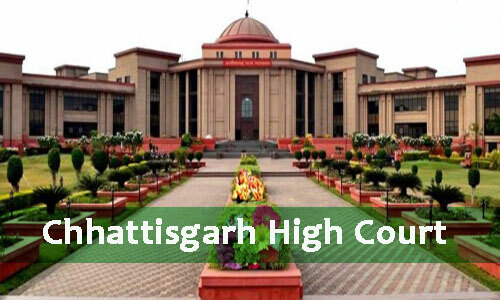 Justice R. S. Garg was the first acting Chief Justice of the Chhattisgarh High Court.The court has a sanctioned judge strength of eighteen. Only those candidates are eligible who have passed graduate from any recognized University with minimum 45% marks and Shorthand Examination and Typewriting examination in Hindi (100 wpm shorthand & 25 wpm typing speed) & English (100 wpm shorthand & 30 wpm typing speed) from any recognized University/ Board and certificate of Diploma in computer application. Candidates age limit should to be possess minimum age 18 years & maximum age 30 years. Interested candidates may apply in prescribed application form along with self attested copies of relevant documents & self addressed envelope with worth Rs. 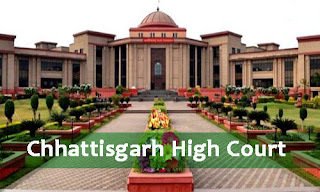 5/- send to the Office of District & Session Judge, Mahasamund, High Court of Chhattisgarh, Chhattisgarh- 493445 on or before 19.06.2017 till 05:00 PM.